Size (Inches): 9In. x 4.25In. x 2.5In. 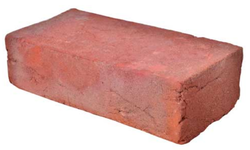 Clay bricks are used in house construction, institutions and commercial constructions. These bricks are very cheap compared to other hollow bricks. The strength of the wall is also good. There is good demand for clay bricks in developing countries like India.